Involved in residential and commercial real estate, machinery appraisals, and is the lead research analyst for MCS Inc.
Candice began her appraisal career in 1993 working for Harris Appraisal Service, Inc., in Wichita, Kansas. She was involved with residential and commercial real estate, machinery/equipment appraisal, business valuation, performing research analysis and report writing functions. 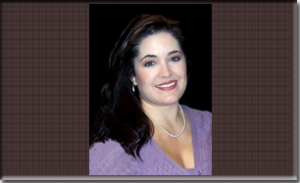 In 1997, Candice moved to Bakersfield, California and began working for Marketing & Consultant Services, Inc. where she currently serves as a Consultant / Appraiser. Candice is also the Lead Research Analyst for NEBB Institute and serves as a consultant to other Certified Machinery/Equipment Appraisers in providing values and report requirement information. Ms. Hevle holds the MCMEA (Master Certified Machinery and Equipment Appraiser) and CSBA (Certified Senior Business Analyst) professional designations demonstrating her experience, knowledge, and skill. She is a licensed member of NEBB Institute.